Potassium Sorbate ("wine stabilizer"), dissolves completely in wine to prevent yeast from fermenting or refermenting when adjusting sugar. Use in sweet wines, sparkling wines, and some hard ciders prior to bottling to prevent carbonating your wine. It may be added to table wines which exhibit difficulty in maintaining clarity after fining. At the point when active fermentation has ceased and the wine is racked for the final time after clearing, potassium sorbate will render any surviving yeast incapable of multiplying. Yeast living at that moment will be permitted to continue fermenting any residual sugar into CO2 and alcohol, but when they die no new yeast will be present to cause future fermentation. 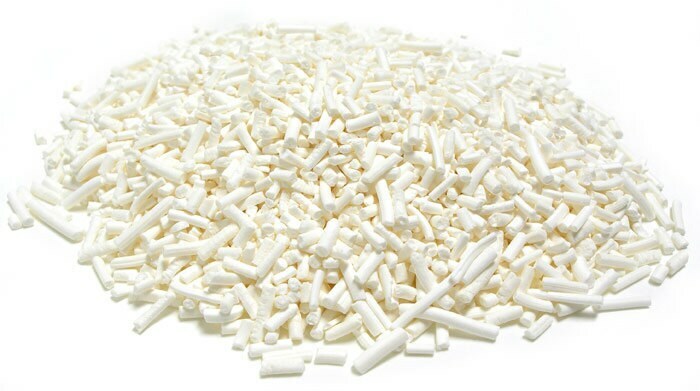 When a wine is sweetened before bottling, potassium sorbate is used to prevent refermentation when used in conjunction with potassium metabisulfite. Please note: this product will not stop an active fermentation. Use 1/2 tsp. per gallon.